While 2017 produced just a few Bahá’í books for children in English, there are several gems amongst them. A survey of Bahá’í literature for children has brought one series in particular to my attention. 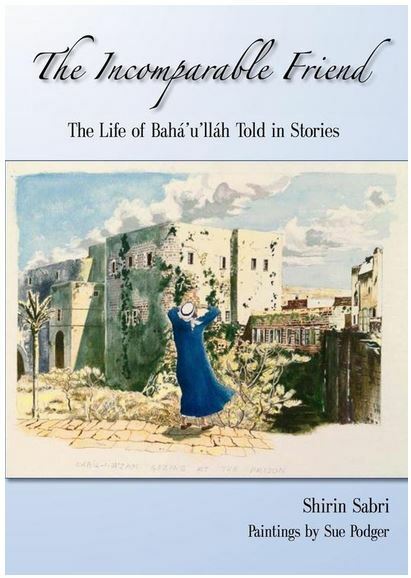 The very fine The Incomparable Friend — The Life of Bahá’u’lláh Told in Stories, written by Shirin Sabri with illustrations by Sue Podger, was first published in 2006. It was republished in 2017 as an ebook, and it will soon be available by print-on-demand from the Australian Publishing Trust. Given the special nature of the Bicentenary celebrations of Bahá’u’lláh’s birth this past year, this new edition of The Incomparable Friend is most welcome. The book offers a biography of Bahá’u’lláh written for nine to twelve year olds but that would also be of interest to junior youth. How does one synthesize the richness and complexity, the suffering and the wisdom of the life of a Manifestation of God and make it accessible to such an age group? Shirin Sabri has written just such a book and it is both engaging and reverent. Suitable for the middle grade to junior youth reader, this book offers an account of the day-to-day events of Bahá’u’lláh’s life that can be followed with ease and which does justice to the extraordinary and inspirational character of God’s newest Messenger. When presenting a medium length narrative (approximately 185 pages) for this age group, an author might feel compelled to leave out the sorts of details that could bog the young reader down. But Sabri is able to present such specifics in a skillful manner and weave them into a tapestry that vividly evokes the beauty, the tragedy, and the majesty of Bahá’u’lláh’s life and ministry. Nor does she fail to explain with clarity the complex details related to the social and political upheaval caused by the advent of the Báb. By doing so, she lays a firm foundation for the reader’s understanding of the nature of the persecution of the Bábís and the significance of Bahá’u’lláh’s assumption of the leadership of the new religion following the Báb’s martyrdom. The convoluted political machinations of the clergy or the Shah and other rulers, and those of Siyyid Mohammed and Mirza Yahya — all are lucidly explained and appropriately presented. Ms. Sabri writes of the relationships of Bahá’u’lláh with His family, the deep connection and love they shared, and the devotion and sacrifice of believers who met Bahá’u’lláh and never had any doubt that they were meeting the Promised One. These stories are deeply moving and always accessible. Moreover, the striking illustrations by artist Sue Podger are beautiful and edifying. They also serve to ground the narrative in visual details that are illuminating. Because most young readers are not likely to have visited the Middle East, and because the life of Bahá’u’lláh is so extraordinary, Podger’s art work is needed to bring a sense of reality to what might otherwise seem an fantastical story. Each water color illustration is completely in sync with the action of the chapter or section. That the illustrations are reproduced in color is a rare treat for readers of middle grade chapter books and further enriches the information presented as well as the beauty of the book as a whole. Shirin Sabri and Sue Podger are working with George Ronald Books on a new series called Companions of the Crimson Ark, which follows up on The Incomparable Friend. Written for the same age group and already published, the first two books — Companions of the Crimson Ark and Valiant Horseman of the Merciful — tell the stories of heroines and heroes that lived during the lifetime of Bahá’u’lláh. Based on the quality of these books, readers can eagerly anticipate the additional two books that will complete the series. 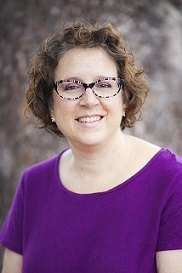 Bio: Allison Grover Khoury has been a life-long lover of children’s literature. She grew up in India and pursued studies for a Bachelor’s degree in International Studies at the School for International Training in Vermont. She has worked as a software technical consultant, an ESL teacher, a book reviewer, and an editor, but has most enjoyed her work in libraries and bookstores. She is a founding member of Spirit of Children and maintains a children’s literature review blog. Allison offers workshops on picture books and runs a special reading program at her son’s school, centered on books that have received the annual Caldecott medal for illustration. She lives with her husband and two children in Los Angeles.